In cult-television history, however, the humanoid brain has played a different kind of role. It has survived death (often in jars filled with colored fluid), and it has been the form of life evolved beyond the need of physical, biped bodies. In Star Trek (1966 – 1969), the Enterprise encountered three individuals of highly-advanced brain creatures, the Providers, on the distant world of Triskelion. 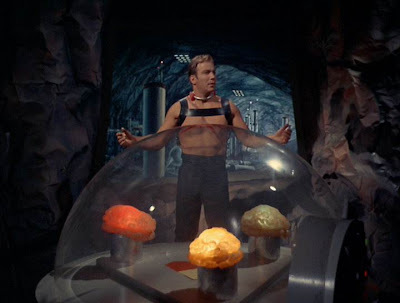 In the more notorious episode “Spock’s Brain,” aliens in go-go boots incapacitate the crew and surgically-remove Mr. Spock’s brain so that it can control the faculties of their underground complex on a distant world. 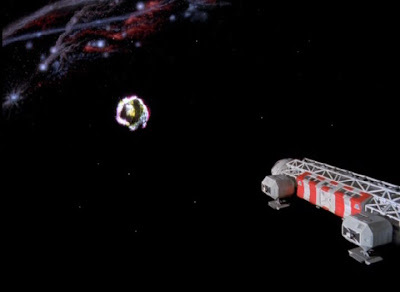 In Space: 1999 (1975 – 1977), Moonbase Alpha traveled through a region of space where a gigantic entity, a space brain, dwelt, in an episode titled, appropriately “Space Brain.” This brain was capable of defending itself with crushing antibodies and was found to be on a collision course with the errant moon. 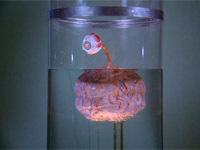 A second season story, “Brian the Brain” involved a malevolent robot brain, Brian, who had murdered his human crew. In the former program, the Fourth Doctor (Tom Baker) and his companion Sarah-Jane Smith (Elizabeth Sladen) land on a world where a mad scientist is seeking to place the brain of a Time-Lord renegade into a Frankenstein-like body. In the latter show, Wonder Woman (Lynda Carter) tangles with Gault (John Carradine), a brain with frightening telepathic powers…. The X-Files (1993 – 2002) featured an episode in its seventh season titled “Hungry” in which a genetic mutant boasting qualities of a shark could survive only by feasting on human brain. 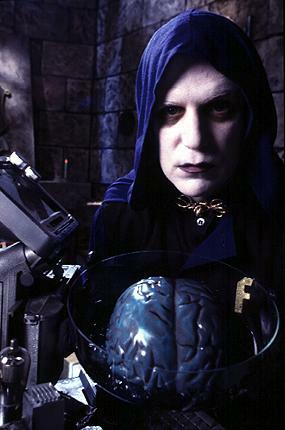 "Brain Guy," (Bill Corbett) meanwhile, was a regular character on Mystery Science Theater 3000 in its Sci-Fi Channel years. A ghost-faced Observer, Brain Guy carried his brain around -- exposed -- in a pan. 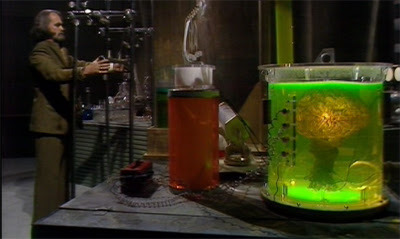 The brain in a jar concept was used earlier in Dr Who in episode two of The Keys of Marinus. They were called the Morphotons and basically seduced people with hallucinations of what they most desired in order for them to do the work the Morphotons couldn't physically do.